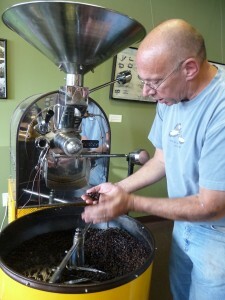 Best Overall Coffee Experience: Roasting beans and doing a comparative tasting with Scott Miller, owner of Ogeechee River Coffee Company, Savannah, Georgia. 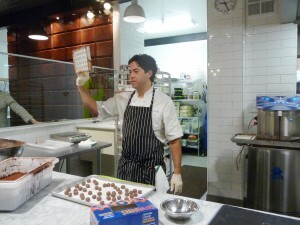 Best new chocolate confection chef: Chris Kollar of Kollar Chocolates in Yountville, California. Especially love his passion fruit, coconut and peanut butter chocolates. Best foraging adventure on a farm: La Petraia in Radda in Chianti, Italy, with owner and chef, Susan McKenna Grant. 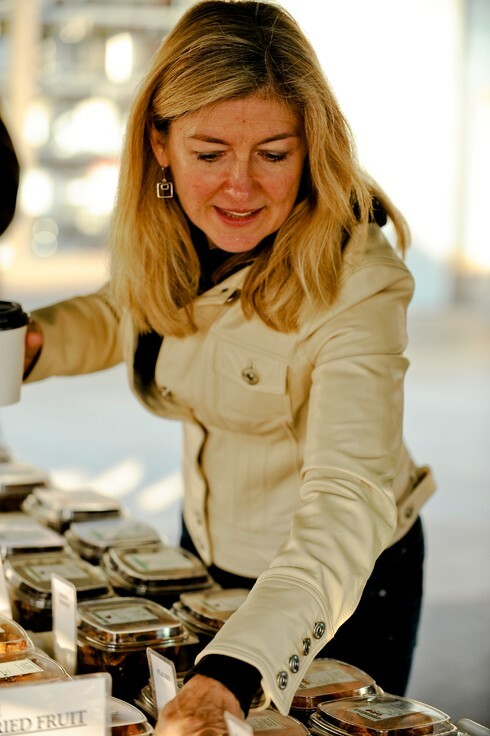 Foraging was followed by a cooking class and lunch that featured our foraged ingredients! Best wine harvest experience: Goosecross Cellars, Napa, California. 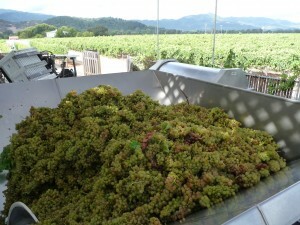 Was such a learning experience to follow Winemaker Geoff Gorsuch during the pressing and crushing of the grapes for their Viognier wine. Best new chocolate bar: Askinosie Chocolate, Springfield, Missouri. 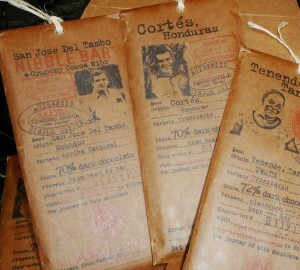 I absolutely adore their new single-origin bar made with cacao beans from Honduras. 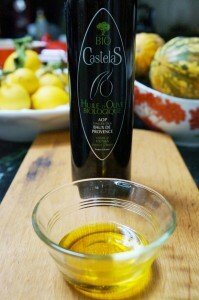 Best organic olive oil discovery: Castelas’ Biologique Olive Oil, Les Baux de Provence, France. Grassy, aromatic, spicy and delicious. This is a perfect finishing oil. 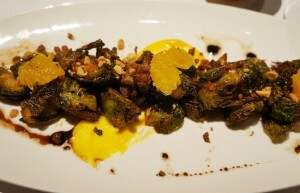 Best dish using brussel sprouts: Bottega Restaurant, Napa Valley, California. Their new crispy brussel sprout salad is phenomenal. I was upset that they took their shaved brussel sprout salad off the menu but this new salad is truly superior – so full of flavor and crunch! 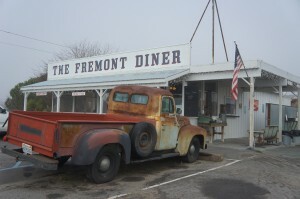 Best new diner: The Fremont Diner in Sonoma, California. Farm-to-table, Southern-inspired dishes such as BBQ pork sandwich, collard greens and housemade biscuits. Best sugar discovery: Wasanban from Shikoku, Japan. 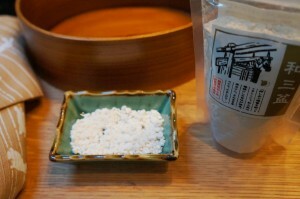 Wasanban is a very fine-grained sugar that is made from a thin sugar cane plant grown in Shikoku. A friend in Japan sent it to me. I have been using it to sprinkle on dessert crepes and cookies and to sweeten tea. I love its delicate texture and sweet flavor. Best affogato (gelato with a shot of espresso): Poggio in Sausalito, California. 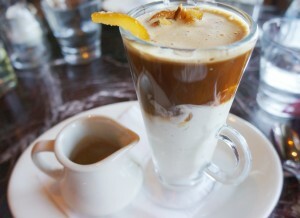 They dress their affogatos up with slices of toasted almonds and candied orange peel. Exquisite! 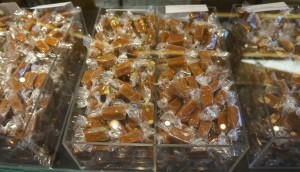 Best caramels: Jacques Genin in Paris, France. These caramels melt in your mouth and dance on your tongue. The flavors are rich and the texture is perfect. Best wine education experience: Les Printemps de Chateauneuf-du-Pape, Chateauneuf-du-Pape, France. 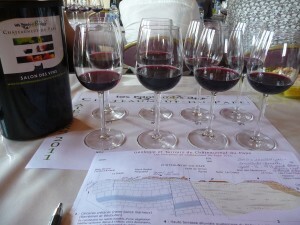 Was there in April for a tasting of grenache wines from several different soil types and microclimates within the Chateauneuf-du-Pape appellation. 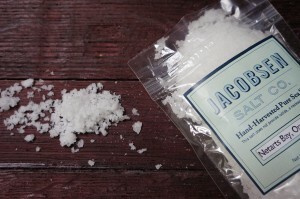 Best new artisanal salt: Jacobsen Hand-Harvested Pure Sea Salt from Netarts Bay, Oregon. This salt has a wonderful crunch and a bright, clean flavor. Excellent finishing salt. 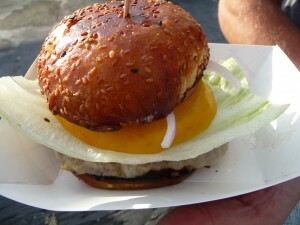 Best hamburger in San Francisco: 4505 Meats, San Francisco Ferry Plaza Farmers Market. Haven’t tried every hamburger in town yet, but this was my favorite of the ones that I tried this year. Looking forward to discovering what new “Bests” 2012 will bring! Note: Top photo taken by Oliver Seidel and Nicky Stich of deliciousdays.com.